Buy a $20 voucher for Ava's Downtown Market in Mountain View and 15% of available proceeds will go into energy efficient lighting upgrades. Redeem your vouchers anytime you want! In partnership with Google, Ava's Downtown Market will use 15% of Carrotmob sales to make energy efficiency improvements such as upgrades to spotlights and track lights throughout the store. Like many small businesses, Ava's Downtown Market wants to make sustainability improvements but cannot afford the upfront capital outlay. If we raise enough to make all the potential changes, the retrofit will have a considerable impact on the store’s energy use. Ava's Downtown Market wants to show Mother Nature some love so let’s help them through a Carrotmob in partnership with Google! You can buy as many vouchers as you like - there are no restrictions. Your vouchers will never expire. You can spend them on any of Ava's Downtown Markets’ products and services. You will get a voucher which you can either print out and bring to Ava's Downtown Market or you can present your voucher right from your mobile phone’s web browser. You need to use the entire $20 value in one visit. The voucher does not cover gratuity. Google is sponsoring this Carrotmob campaign to help Ava's Downtown Market reach its energy efficiency goals. 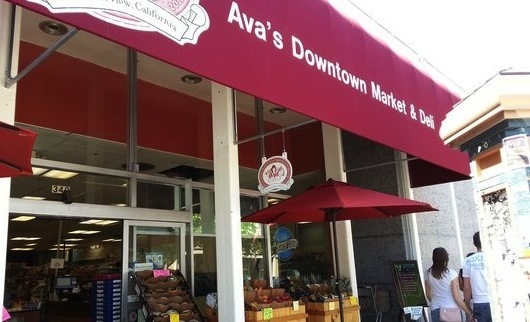 Ava's Downtown Market & Deli is a fixture on Castro Street in Mountain View. Named after their daughter Ava, owners Juan and Ann Origel took a leap of faith and opened their market just over a year ago. Committed to sourcing locally grown foods and healthy choices at competitive prices, Ava's stocks a wide variety of products ranging from grass-fed meats from Marin Sun Farms to Straus milk products and organic produce. Gluten free options are also widely available. Yelp Reviews are ecstatic! Yelper Yawns G. says that they can "really can only sing the highest praises when it comes to Ava's DT Market.” Yelper Rebecca S. says that "Ava's is a hidden gem on Castro." Prices are extraordinarily affordable and competitive with other grocery stores like Trader Joe's and Whole Foods Market. Ava's is already a responsible and sustainable business. But as a leader in its space, Ava's is looking to take it to the next level. They want to do this by upgrading the store's track and spot lighting system to more energy efficient bulbs. If we raise enough to make all the potential improvements (that's YOU mobbers! ), Ava's will upgrade their lighting system to improve energy efficiency and reduce their carbon footprint to fight climate change. 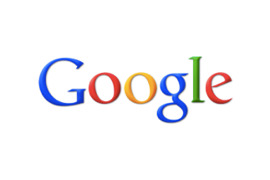 Carrotmob and Google are also hosting a special event at Ava’s on Wednesday, July 31 from 5:00 - 7:00PM. Everyone is invited to redeem vouchers! The first 25 people to check out at the store with a Carrotmob voucher will get a pair of Century Theater movie tickets. Open from: M-Th: 9:00 am - 8:30 pm, F-Sat: 9:00 am - 9:00 pm, Sunday: 9:00 am - 8:00 pm. Learn more. Free parking available throughout Downtown Mountain View. Or, you can bike =). Is Ava's Downtown Market any good? Yes, they are highly rated on Yelp. Simply present the voucher on paper or on your phone to the checkout representative. They will calculate your total from there.